BAYTOWN, TX (KTRK) -- The Baytown Police Department reported they've received "no credible leads or information" about the disappearance of two missing teenagers. Assistant Chief of Investigators Roger Clifford told Eyewitness News officers' hearts are heavy for the family as they actively continue to investigate the disappearance. 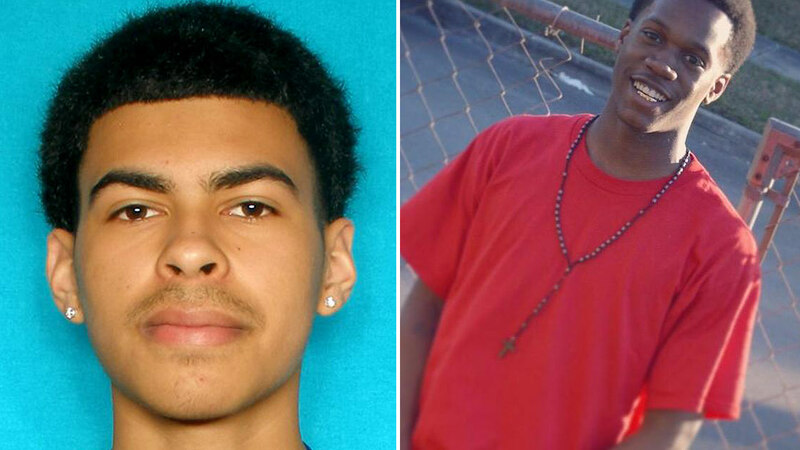 Today marks 12 days since Jarvis Morgan, 17, and Alex Chavez, 18, vanished, last seen heading toward an apartment complex on Northwood near Garth. Investigators recovered the teens' car near the Fred Hartman Bridge. Clifford explained nothing inside the vehicle indicated foul play. He also said the teenagers' cell phones were turned off. Morgan's mother, Sharon Bernard, spoke with Eyewitness News this morning. Bernard remained optimistic her son and Chavez will be found alive. "It's hard. I'm hurting. It's been 12 days. I don't know what happened to him. Every day gets harder," said Bernard with wet eyes. "This is hard. This is killing me inside. I just want my baby. All I want is my son home." When asked what Bernard feels happened to the Lee High School Students, she said she felt they were "in danger." The Missouri Street Church of Christ doubled as base camp for Texas Equusearch. The group again went out today, searching the area for any clues. The church's preaching minister, David Smith, said the community is rallying around the families. "Let's find these boys. Let's find them healthy and alive," said Smith. "All our lives are woven together. Moments like this we realize that." The Baytown Police Department has named 20-year old Brandon Alejandro Flores as a "person of interest." Investigators said Flores last saw Morgan and Chavez alive, they want to speak with him. However, investigators said Flores is "off the grid" and cannot be located. Anyone with information is asked to contact the Baytown PD or can report anonymous tips to Crime Stoppers.